If you are in a long distance relationship you’ll definitely benefit from the long distance relationship advice that I am about to share with you. Long distance relationships are definitely risky. The farther away you are from your significant other the larger the strain on the relationship. Not being able to spend time with your loved one on a regular basis can seem daunting. However, be encouraged! Successfully managing this type of relationship is not impossible. The right long distance relationship advice will help you understand it’s very doable. Simple adjustments to your attitude can help you maintain a happy long distance relationship. This article will provide expert long distance relationship advice you need to help your relationship survive. Set parameters such as naming your relationship (dating, seeing each other, boyfriend-girlfriend, engaged). Also define exclusive (limited to one person) expectations. Stating your end goal will allow each person to get what they need. Ok, let’s move right into some long distance relationship advice guaranteed to help you! In a long distance relationship, interaction over the phone can become dull. Incorporating other forms of interaction are important. Just think, people in short-distance relationships do not spend the majority of their time talking. Instead, they rather be doing things with each other. Try to replicate this by finding things to do together. Try watching a TV show or movie simultaneously. Use social media (ie Twitter, Facebook) to share photos or videos. Use software like Skype to see one another on a regular basis. Try completing a long distance workbook. A long distance workbook is filled with super fun “school like” workbook assignments. It is designed to help couples cope with separation and achieve motivation to persevere. Seeking long distance relationship advice from a counselor, co-worker, or friend can also be helpful. This is especially true if they have experience with long distance relationships or providing long distance relationship advice. Don’t seek long distance relationship advice from people that have no experience with this type of relationship. Pay attention to what I am about to say next because it is the most critical long distance relationship advice you will read today. Since you won’t be seeing each other regularly, it’s important to establish and maintain an emotional connection. These don’t always have to be long, in-depth conversations. Tell each other about your little triumphs and tragedies. Ask each other for advice. Expressing your true feelings for one another is critical! Use an instant messenger program or or web cams for that visual connection. E-mail is great so make sure you use it, especially if long-distance phone calls put a strain on your budget. Ensure the e-mails are substantive and detailed. This will show that you care enough to put in the time and effort. You could write love letters. Send small gifts, candy, cards or send flowers for no reason. In this case, quantity is as important as quality. You may discover an advantage over others whose partner is close at hand. Don’t take communication for granted! Remember, this is the most important long distance relationship advice you will hear today. 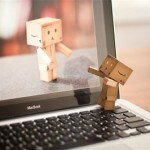 Constant communication is the beating heart of a long distance relationship. Mutual trust is an important piece of long distance relationship advice. It is what determines if relationships will work or crumble. You must trust your partner and they must trust you. Without trust, it is so hard for any relationship to work. So you can see how a long distance relationship will crash and burn quickly in absence of trust. Trust is vital when you cannot see your partner and be intimate with him or her. Be sure to talk to each other often about how you feel about the relationship. Create boundaries and let your partner know your expectations of the relationship. Do not assume your partner is on the same page as you. This is critical long distance relationship advice in this article. Being spontaneous is another important long distance relationship advice I would recommend to couples. Little surprises will make your-partner-know you are thinking about him or her. Make arrangements with a restaurant in the town to deliver her favorite meal. For ladies, sending little gifts like a bottle of his favorite cologne will be a perfect surprise. It doesn’t necessarily have to be a big surprise. Remember it’s the little things you do that count. Planning a getaway with each other is also another great away to keep a long distance relationship strong. Let me explain. The anticipation of seeing each is always going to be intense, but the way to take it to the next level is to plan a vacation together. Take the time to book the mode of transportation, lodging and the itinerary together. Research everything to do in the place you are going. Look at tourist attractions and discuss activities that you would both enjoy doing. That way you have a ton of exciting stuff to talk about until its time for the trip! More time with friends and or family, no arguments over toothpaste caps, the pleasure of seeing your sweetheart again after a long absence, time to mull your options (rather than snapping at your partner impulsively) before you respond to that emails he wrote that seemed so rude the first time you read it. Having time apart also give you plenty to talk about once you reconvene. Trust me, this is solid long distance relationship advice. Just as with traditional or proximal relationships, some effort and commitment from both parties. This is crucial for long distance relationships to thrive. Despite common misconceptions, long distance relationships do work. They just take more effort than a close relationship. Distance and love are not mutually exclusive if you keep your relationship active and a high priority. If you follow this long distance relationship advice it will keep your relationship strong. 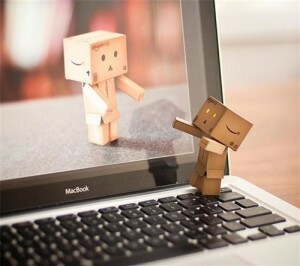 It does not matter how great the distance is between you. Just remember it is critical to keep the lines of communication open. Be up front about your expectations for each other. Find fun activities to do over the phone, via webcam, email or in person. Send gifts, post cards, and flowers for no reason. Tell each other how much you love and miss them. This same long distance relationship advice helped my girlfriend (now my wife) survive our 300 mile long distance relationship. These techniques are simple but very effective. Once you get a chance to try them, I would love to hear how they worked for you. If you have long distance advice that has worked for you in the past, please comment below and share it with our other readers!